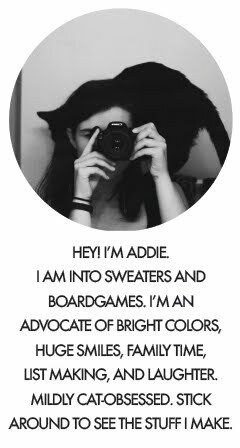 Addie Marie: Want to Hear Something Dorky? ...I not only plan my outfits in advance, but I draw them out. My sketches at this point are little more than chicken scratches, I know, but it's just fun. I'll get better eventually. My brother made fun of me when he saw that I put "optional" beside some items--he's like, "Isn't it all optional?" Haha. I'm at a friend's house in North Dakota for Easter weekend. It's so nice to relax a bit, with only some studying to do. My class on Thursday was canceled, and of course I took yesterday (Good Friday) off, so it's a super long weekend. It's sunny and beautiful, so I think a walk (and perhaps outfit photos) is on the agenda! so not dorky! i love these sketches! there's a flikr group and a blog full of this stuff. That is SO not dorky! Those are actually pretty close to a certain style of fashion sketches, so you're not off-base at all! And whoa! New page theme! Love it. I love your bright new page theme! It's very "happy" and chic! jessica - Oh my goodness, that blog & the group are awesome! So much talent. &, thank you! dorkvader - Thank you! Haha, I do that too--sometimes outfits are the most interesting when just thrown on! Janice - Aw, thanks! I've never been able to draw much, so to hear that is lovely! Hannah - :) Thanks, doll! & I'm glad you guys like the new theme! It still needs some tweaking, but I figured I needed some brighter colors to match the warmer weather! this is my fav shade of yellow. I love how your brother thinks things in an outfit are optional! boys!! That's awesome that you draw your outfits! I wish I could draw even half that good... BTW I love the new blog look! The header is cute! I've been meaning to make a new header for my blog. i had a whole notebook/calendar of my weekly outfits when going to school! LOL! if you think that's dorky, then "Fashion Dorks Unite!!"!!!!! You should post your sketch along with an actual pic of you wearing your outfit! Oh my goodness, Tany, I would love to see that! You can draw so well, I'm sure it was amazing. High-fives for fashion dorks!